Christmas is a wonderful time of the year for movies! But this year why not find some movies that are different from the standard Christmas fair. Sure, I like classics like Rudolph the Red Nosed Reindeer and Its a Wonderful Life, but a change of pace is nice too. 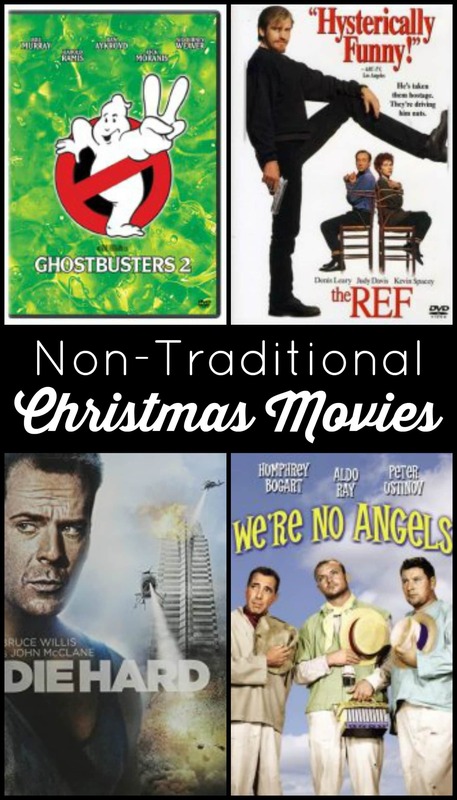 Here are five non-traditional Christmas movies that make for great holiday viewing! This classic Bruce Willis action film is set on Christmas Eve, as terrorists attack a corporate Christmas party. When it comes to a Christmas movie with lots of action this movie can’t be beat. Three convicts escape from prison right before Christmas and end up delaying their escape to help a local family in the town near the prison. This movie was re-made in 2013, but the original 1955 movie is better, so get the original. Ghosts are paranormal phenomenon are strong during the holiday season in this movie. Major plot points occur around Christmas and over New Years, and the Ghostbusters battle to save the city. In this dark comedy a bickering married couple is held hostage by a burglar. He ends up posing as their marriage counselor when family arrives for the Christmas holidays. While You Were Sleeping – In this movie Sandra Bullock rescues a commuter from a group of muggers on Christmas Day, which sets into motion a chain of events that changes both their lives. I’m a huge Ghost Busters fan! I’d definitely watch that one! You should try Tokyo Godfathers, if you don’t mind subtitled movies. It is really different, but it does sort of have the Christmas message. It is surprisingly touching and very funny.